Minister of Higher Education and Cultural Affairs of Sri Lanka, Dr. Wijeyadasa Rajapakshe told the UN General Assembly today (05 September 2018) that Education is vital in promoting a culture of peace. The Minister was speaking at the High Level Forum for a Culture of Peace convened by the President of the General Assembly. The Permanent Mission of Sri Lanka hosted an event relating to SDG 6 on water and sanitation on the sidelines of the ongoing UN High Level Political Forum for Sustainable Development 2018. Major General W.B.D.P. Fernando, Chief of Staff of the Sri Lanka Army speaking at the first ever United Nations High-Level Conference of Heads of Counter Terrorism Agencies of Member States at the United Nations Headquarters in New York today (29 June 2018) noted that as a country that had experienced first-hand the suffering of its people due to terrorism, Sri Lanka understands that a key pillar of counter-terrorism is prevention and addressing the root causes of conflict. 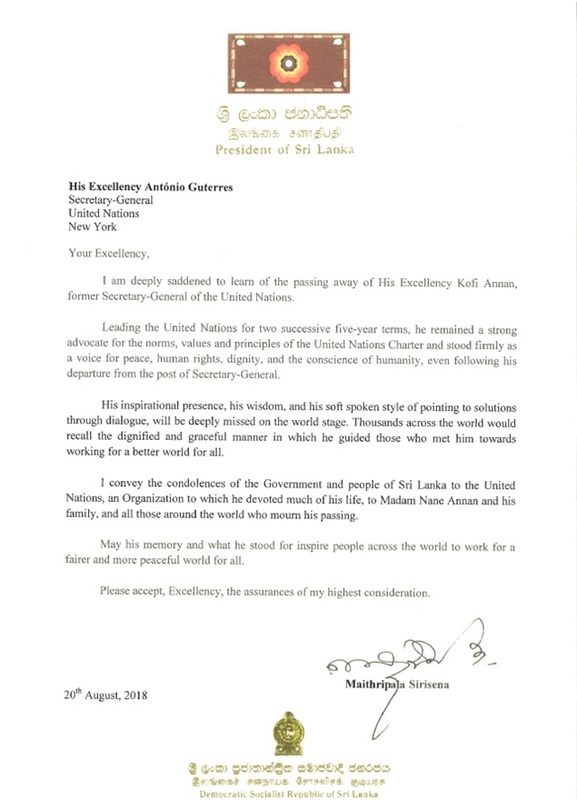 Ambassador Dr. Amrith Rohan Perera, Permanent Representative of Sri Lanka in a statement delivered at the Global Counter Terrorism Strategy Plenary Meeting at the UN General Assembly on 26 June 2018, said that as a country that once suffered under the yoke of terrorism for nearly thirty years and successfully eradicated the scourge from its shores in 2009, Sri Lanka is acutely aware of the need for sharing information technology, databases, and intelligence in combating terrorism.